Organic traffic is essentially the traffic that comes to your site from various unpaid searches or sources including Google, Bing, and Yahoo etc. It plays a significant role in the overall success of your business and its importance is something you cannot neglect. Research indicates that organic traffic represents over 60 percent of the total traffic on a website. Most SEO strategies are built around organic search traffic to raise the ranking of the website. In this blog, we take a look at the important role that organic traffic plays in your marketing strategy. At times, in paid traffic, you’ll get clicks from various sources such as bots. For instance, in Paid search or PPC campaigns some people use software to increase their click-through-rate in an attempt to earn more money. But since this isn’t human traffic, it may not convert into sales at all. But when you focus on getting human traffic from real people and not from crawlers & bots, it can lead to sales and increased profitability for your business. If you don’t maintain consistency in your promotional strategies to attract traffic to your business website, eventually, the amount of paid traffic will just dry up completely. However, if your website ranking is based on various organic and natural SEO strategies, it will be very difficult for your competitors to sprint ahead of you in the race to the top rankings on search engines. This is because the quality of your website and its content will ensure you have a constant stream of visitors. As long as you are able to meet your client’s needs, you will notice a steady rise in your website ranking and will help your site remain relevant on search engines. Most buyers now access review sites before they buy any product or service. With access to the internet now becoming more of a norm than an exception and with mobile usage on the rise, this trend is only set to increase at a rapid pace. And so, if you want to increase sales, you need to build more credibility and make yourself known as a reliable and trustworthy brand with a solid online presence. And this is exactly what organic traffic helps with. While there are a number of search engines, Google is responsible for a major percentage of internet traffic to most websites. The objective of any SEO strategy is to improve the ranking of a site on different search engines. If your site has content that provides value to the visitors, Google will automatically favour your site and this increases your chances of maintaining a higher ranking on Google’s search engines. While a well-implemented and consistent PPC campaign produces quick and visible results, it is not long-lasting. On the other hand, the results you get from organic traffic tend to last for a very long time compared to ones from PPC-driven campaigns, which makes it more feasible to focus on the former. 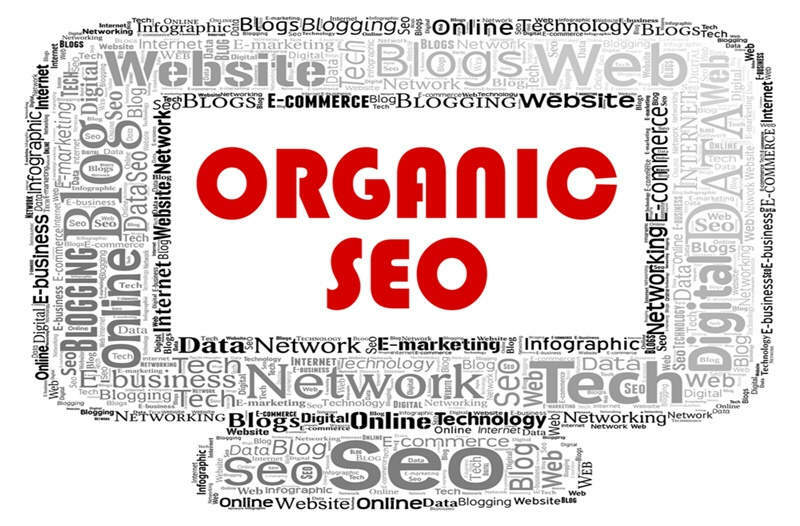 Last but not the least; organic SEO doesn’t need any major financial investment. It doesn’t involve buying any programs or software for analysing the keywords, spinning articles, or building automated links. When you employ good organic techniques, you won’t have to spend any money on these programs and software. Visitors will land-up on your website via normal searches from leading search engines. You only need to ensure that your site is optimised using the right keywords, key-phrases, and long-tailed keywords.